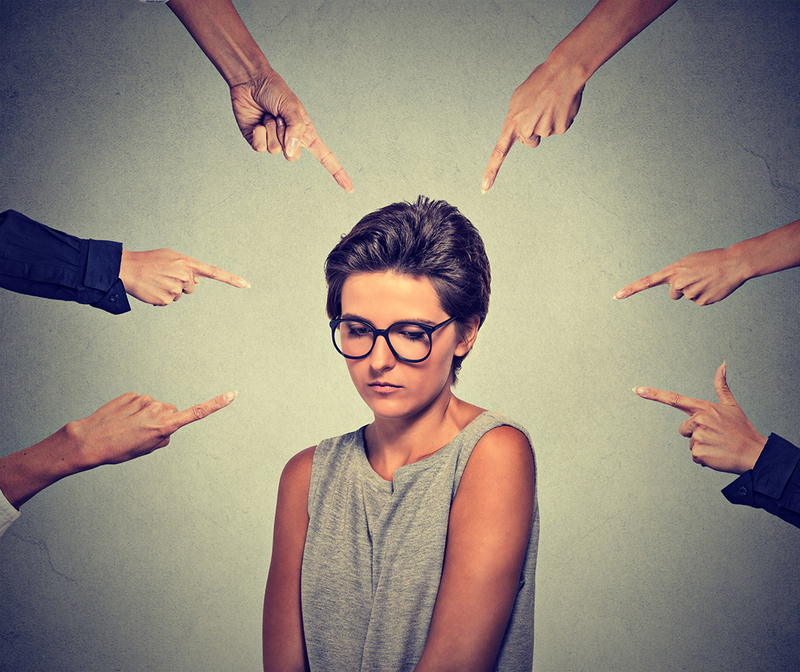 We see the blame game played out in our lives and on the news every day, but what are its origins? And how can we override it to get to the truth, and meaningful solutions? At a certain point, recriminations just become a distraction from our more pressing responsibilities as we move forward. It’s a great defense mechanism, because we can “save face” by avoiding our own faults. It’s an offensive tool used to attack others. We distort our own behavior and the causes of other’s people behavior. Essentially, we make illogical judgments. It’s easier to lay blame at the feet of someone else than to accept responsibility. Unfortunately, when we play the blame game, everyone loses. It’s an unhealthy way to resolve conflicts. Winning an argument doesn’t necessarily make you right. It may simply mean that you were louder or more persistent, making the other person give in and stop playing the game. This could easily result in a problem not being solved, or in the creation of new problems. The Bible is not silent on the blame game. 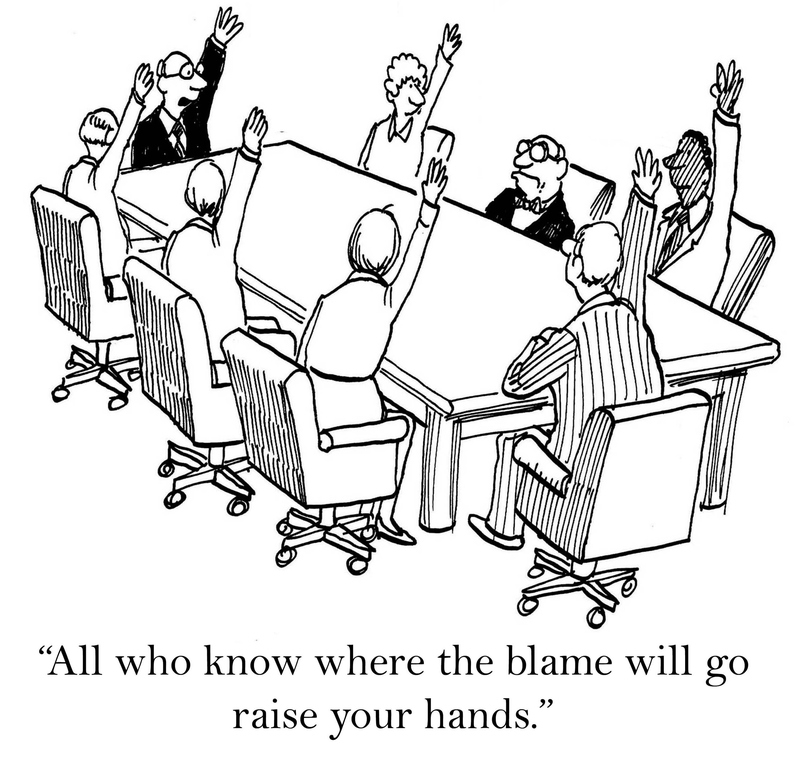 It can be tempting to play the blame game and pass the buck. Although these ideas work more effectively one-on-one than in a group with diverse motives and ideas, we can learn from them to be more politically active. Get to know your political representatives. Have a conversation with them that isn’t argumentative. Share your own thoughts without assuming their point of view. Go to your town hall meetings, even when you disagree with the leader’s platform. Don’t get defensive, but have a strong statement of your point of view. It’s not going to be easy to work with people whose views are different from your own, but we have to stand up and be part of our government system. Apathy might be the biggest reason our government fails us. We have the right to take part, but we don’t. Choose to be different and take a stand as our country moves forward. We aren’t going to always agree, but we can be heard. WHY NOT ASK DONALD J. TRUMP ??? From what I’ve read the Clinton woman is claiming blame. These are good guidelines. Only by taking responsibility for your situation, can u change it. A timely piece, with Thanksgiving and its sometimes volatile gatherings on the horizon…. It is a soothing balm, albeit, a temporary one. Eventually we all must face the reality that these are difficult, divisive times. No scripture or psychological insight will heal some of wounds recently created, especially when coated with a salve called fear. I was taught, you make a mistake, you made the mistake, own it. I’ve always been a loner, big reason I don’t like people, I have no use for people, and I’m not responsible for others and their doings. That doesn’t mean I am anti-social, if I’m buying a coffee ill talk to people next to me, if someone is in a jam I’ll jump in and help, heck, 36 years as a firefighter I’ve aided a lot of people. What I have never had, what I don’t have, is a social network of so-called close personal friends. I’ve ridden bikes since my first in ’64, been all over by myself, I’ve fathered two great kids, I’ve been married 48 years, my wife has friends and is friendly, just not for me, why you ask? People do not accept responsible actions, they feel off put when they can’t blame something on something else and you call them on it, if I screw up I’m the first to say it despite the repurcussions, just my 2 cents.